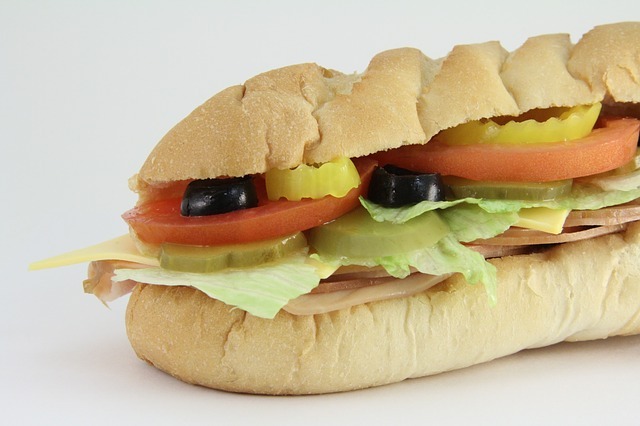 Years ago, Subway found itself at the center of a viral controversy. A teenager in Australia posted a picture of a Subway “footlong” with a tape measure next to it, showing it to be an inch shorter than advertised. Back in 2013 when this hit, I listed the case as my “Dumb Lawsuit of the Month,” and had a Google Hangouts chat with California attorney Todd Friedman explaining why I thought this case had no place in an American courtroom. Todd argued that there was real harm done and that Subway should pay. Look, when someone hands you a sub that’s close to 12 inches, and you pay money for it and accept it, you’ve agreed to “what you see is what you get.” You see the sub before you purchase it, and you voluntarily pay for the sub. If you’re dissatisfied with your sandwich, you vote with your wallet and choose not to return to Subway. Any complaints need to happen at the point of purchase, not dragged out in the court system for several years. In 2014, lawyers struck a deal with Subway to get paid $525,000. Consumers got nothing other than a promise that quality control measures would be implemented and a disclaimer on their website informing its customers that “due to natural variations in the bread baking process, the size and shape of bread may very.” In other words, these lawsuits have forced Subway to say what we’ve always known about our lunches: results may vary, and that’s OK.
Well to no surprise, a three-judge panel of the Seventh U.S. Circuit Court of Appeals recently ruled that this “half-baked” case needs to be thrown out. The court argued that it was near impossible to prove any real injury to the class and that the vast majority of Subway’s footlong sandwiches are at least 12 inches long, as advertised. To top it all off, the court made it clear that the only real beneficiaries of the prior case were the attorneys. I agree. I think everyone is getting "sue" happy for ridiculous cases!